A quick pickling process mellows the heat of hot peppers while adding a pop of flavor with a medley of spices and vinegar. Pickled peppers are a great thing to have in your fridge. They keep for so long that you're likely to use them up before they go bad, and they're a great way to add a pop of flavor and heat to just about any dish. 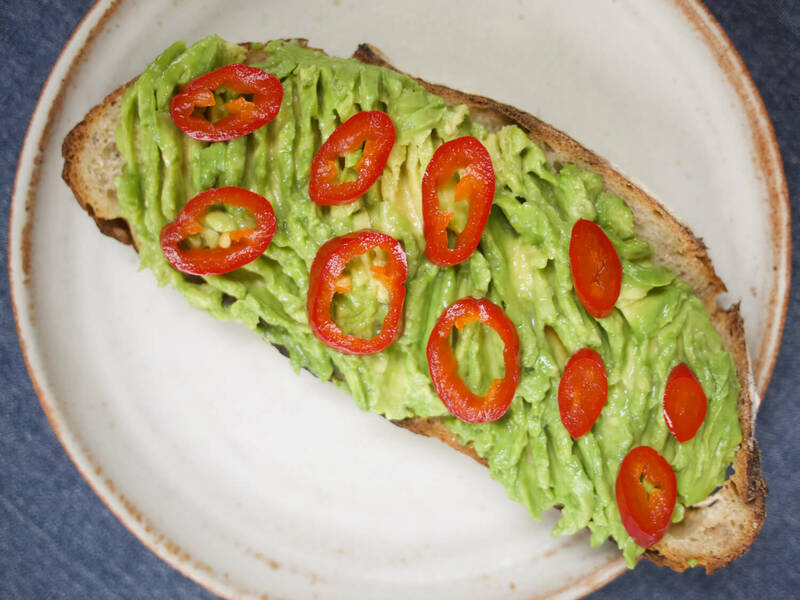 The pickling process tempers their heat to the point where you can use them in situations where you might not want to use a raw chili pepper -- as a topping for avocado toast, tacos, roasted or braised meats, soups, even salads. But you can also use them anywhere you'd use a raw chili pepper! A glass wide-mouth quart jar is the best vessel for making these, but you can also use pretty much any glass jar with a lid that you might have leftover from storebought pickles or preserves. This method is adjustable to any size of jar -- just make sure you have enough peppers to fill it! Combine the liquid, salt, sugar, spices, and garlic in a non-reactive saucepan and bring to a boil. Reduce the heat to a simmer and cook for 10 minutes, then allow to cool for 5 minutes. Pour the pickling liquid over the peppers in the jar. Screw on the lid and refrigerate for at least 24 hours before using, though pickles will be best after at least 1 week of refrigeration. Slice, mince, dice, and use anywhere you'd use the raw chilis, but with an added pop of flavor from the pickling process! Pickles will keep in the fridge for several months.